The holiday season has officially begun and for eCommerce site owners, it’s the perfect time to analyze their site’s performance. In our experience, we have witnessed three different scenarios after every Thanksgiving week. They are the ones who are super enthusiastic about their sales. From Black Friday to Cyber Monday, they have witnessed amazing result and a good ROI. But is it the best they can do? They won’t know until they measure. These site owners have witnessed increased web traffic, but not many sales. Their cart abandonment rate is very high and, in the end, they have a poor ROI. These site owners did everything right. Planned an amazing marketing campaign and had some great deals, but they witnessed no traffic, no additional sales. Nothing. What happened? Sure, we can blame it entirely on the marketing campaigns – But that’s not always the case. Our expert analyst has shown us that the majority of the marketing campaigns fail due to technical issues on the website. Let’s just take loading time as an example. No matter how much you invest and innovate to reach out to the maximum number of users, when the loading time is more than 3 seconds, users just leave. Similarly, during the promotional period, the site will have greater traffic and user activity. Predicting your website performance is next to impossible unless the appropriate load testing was done initially. In all three scenarios, any eCommerce site will perform much better if they’re optimized and error-free. The holiday season has just begun, so don’t worry about losing the Cyber Monday sales. 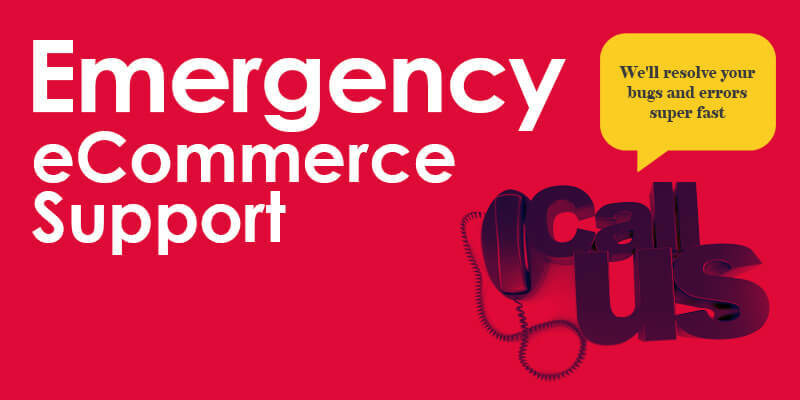 If you weren’t prepared for the holiday sale 2015, take advantage of our emergency eCommerce support to have a worry-free sales for the rest of the year!